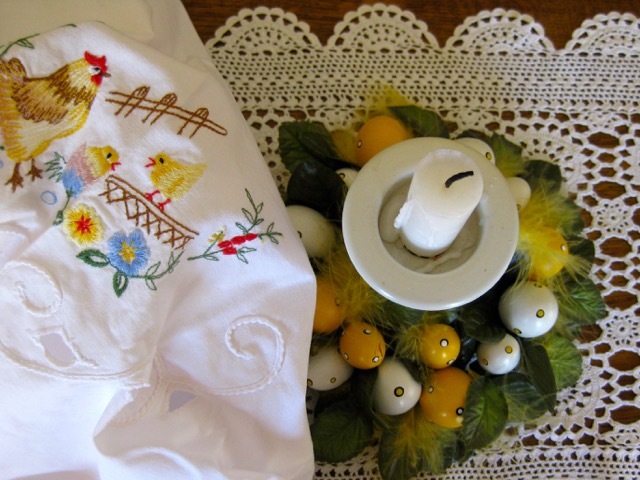 Today is Easter Sunday here in Greece, and in all the orthodoxe countries. We are lucky, after the snow falls of last Thursday, spring came abruptly and we shall celebrate Easter with a beautiful sun, blue sky and 23 degrees temperature. This year I thought of decorating the house with things I was using at the time my children were kids. 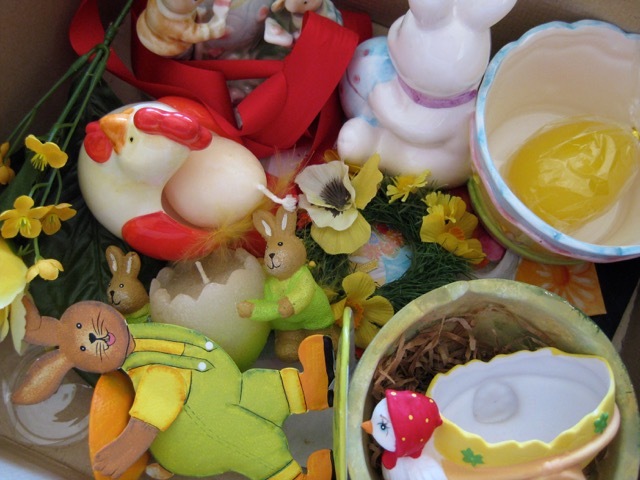 and when I found the boxes in the attic and opened them, many memories came back to me... how joyful it was! 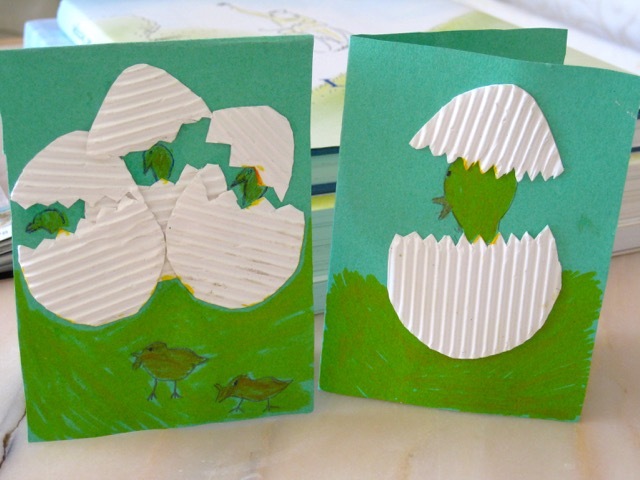 The little cards were done by my daughter at elementary school. Today we shall have her visit with her husband and baby. She cooked the lamb and will bring it ready! I "only" have to cook the potatoes, prepare the salads and deserts! And I am going to do so right now. Best wishes to all those celebrating Easter today. Merci Christine. 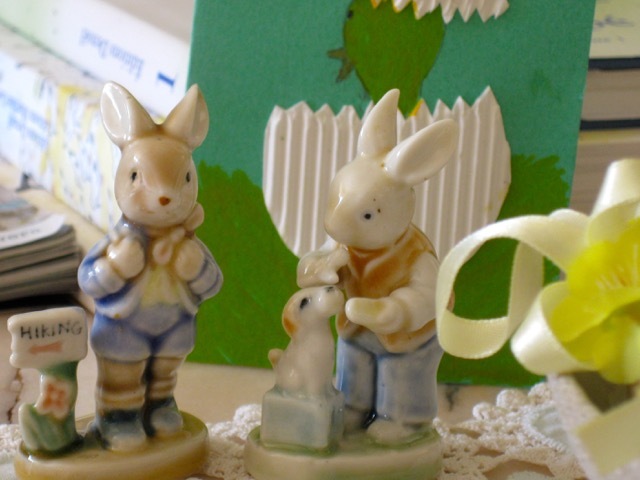 Bonnes fêtes de Pâques et profite bien de toute ta petite famille ! 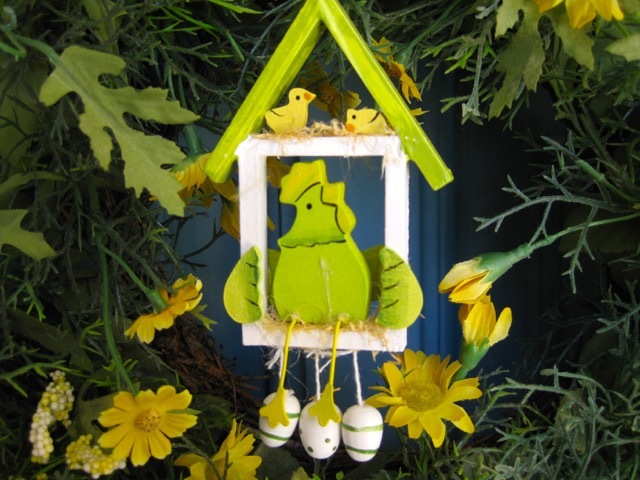 So many wonderful Easter decorations! A Happy Easter to you and your family! I do hope you all enjoyed your Easter Sunday together. You have beautiful decorations and memories surrounding you. 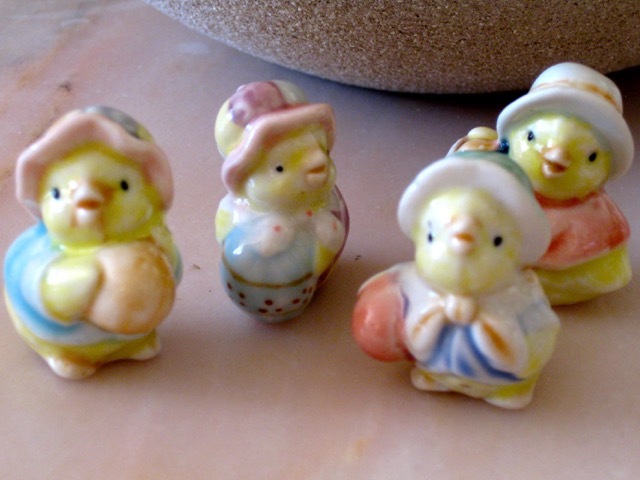 Beautiful ceramic ducks and bunny rabbits, and those eggs in the bowl are stunning! 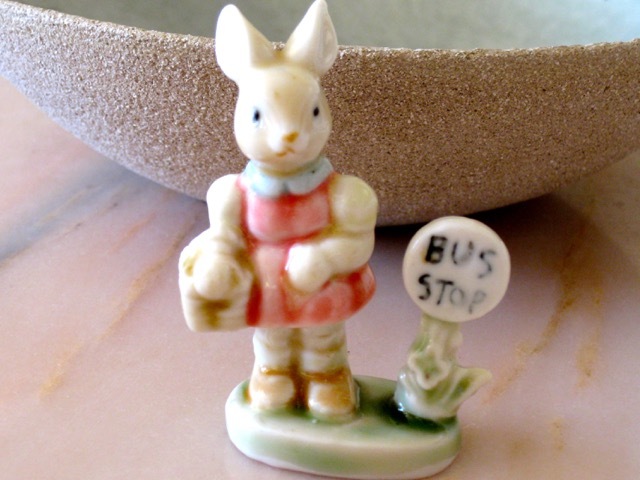 So many darling Easter decorations. I'm glad you had the good occasion to get them out and enjoy them! 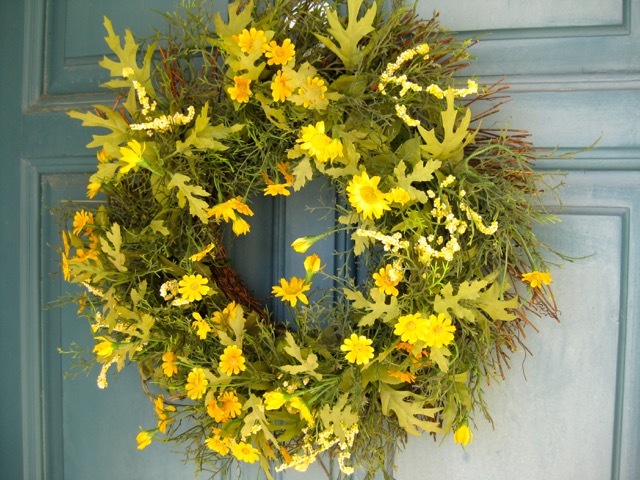 Ta couronne de Pâques est magnifique, tellement légère et ensoleillée! Belle semaine. 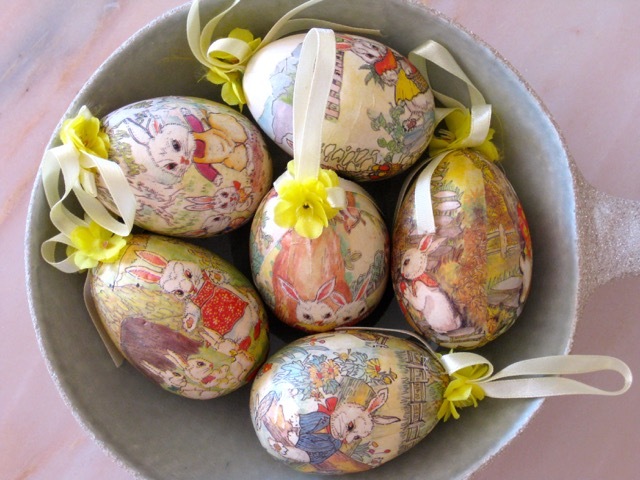 I really enjoyed seeing your beautiful decorations Christine and your Easter lunch sounds delicious! My favourite roast is lamb. Greek people cook lamb the best, I love Greek food and the effort put into making such lovely meals. I liked your 'only' list!!! So lovely decorations... 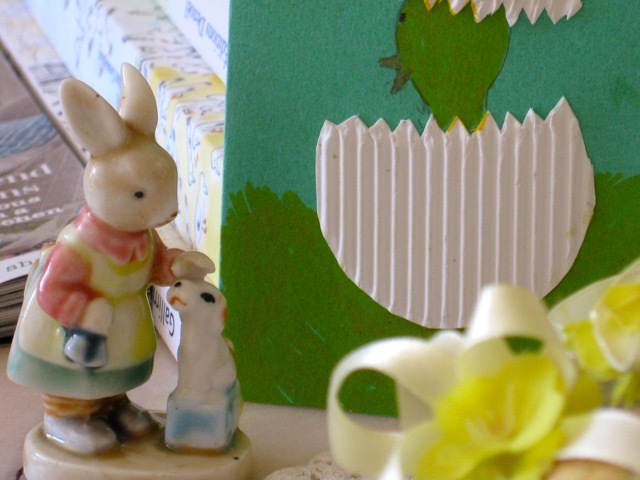 I hope you enjoyed your Easter celebrations! Such cheerful and happy photos, Christine. I hope you had a wonderful day!